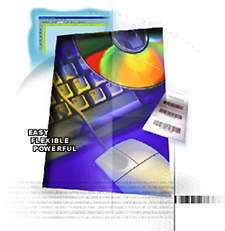 TEKLYNX LABELVIEW barcode label software. Design barcode labels and integrate your bar code label printing system into existing systems with unmatched power and flexibility. Add a powerful, easy-to-use barcode label design application to your company’s business process. LABELVIEW is a sophisticated, intuitive barcode and label design software package. The stability of LABELVIEW’s updated platforms means the application is capable of handling today’s requirements and will support the future growth of your business. LABELVIEW 2015 supports more than 100 barcode symbologies allowing you to easily comply with industry standards, over 25 languages and the ability to print in virtually any language. It offers simple installation for thermal printers plus any Windows® printer driver, and is backward compatible. -LABELVIEW Gold is a high-end edition and includes all of the features of LABELVIEW Pro along with advanced design tools. - No limit to the number of printers you can print to with LABELVIEW Gold. -3 and 5 User Network versions available for LABELVIEW Pro and LABELVIEW Gold. - Additional 5 Users can be purchased if more users are needed..
Add a powerful, easy-to-use barcode label design application to your company’s business process. 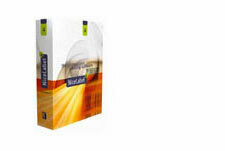 TAGGIT® Pro is a sophisticated, intuitive barcode and label design software package. The stability of TAGGIT® Pro’s updated platforms means the application is capable of handling today’s requirements and will support the future growth of your business. TAGGIT® Pro supports more than 40 barcode symbologies allowing you to easily comply with industry standards, over 25 languages and the ability to print in virtually any language. It offers simple installation for thermal printers plus any Windows® printer driver, and is backward compatible. A full-featured 30-day trial of TAGGIT® Pro is available for free download. Evaluate TAGGIT® Pro and ensure your needs are met before making a purchase. NiceLabel is a family of professional labeling software that provides for a complete barcode and RFID label design and printing solution with many editions to choose from. Library of pre-built compliance labels including GS1, AIAG, ODETTE, GM, VDA, etc.